I'd hate to give the impression that the Costa Brava was only about the beaches and the lovely turquoise-green sea. It so isn't. There are loads of other places to see and things to do. 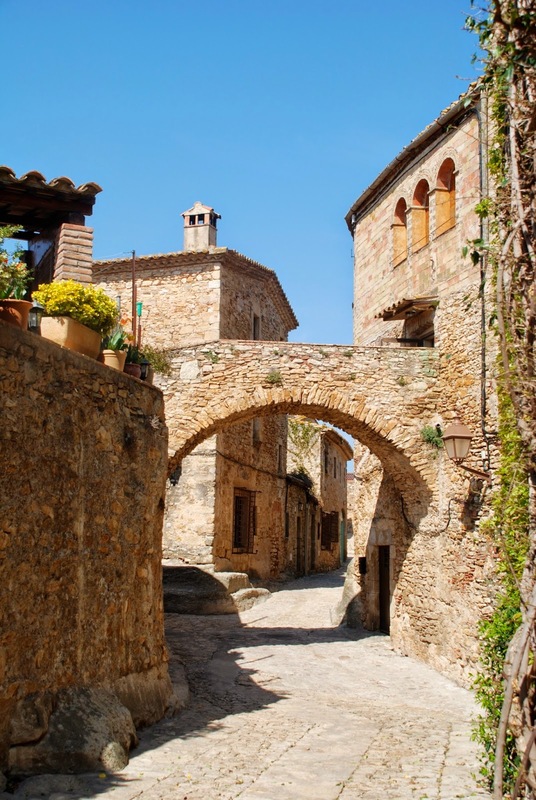 And one of my favourite other places is Peratallada, which sits like a little jewel on the flat plains of Baix Empordà, surrounded by rich farmland. 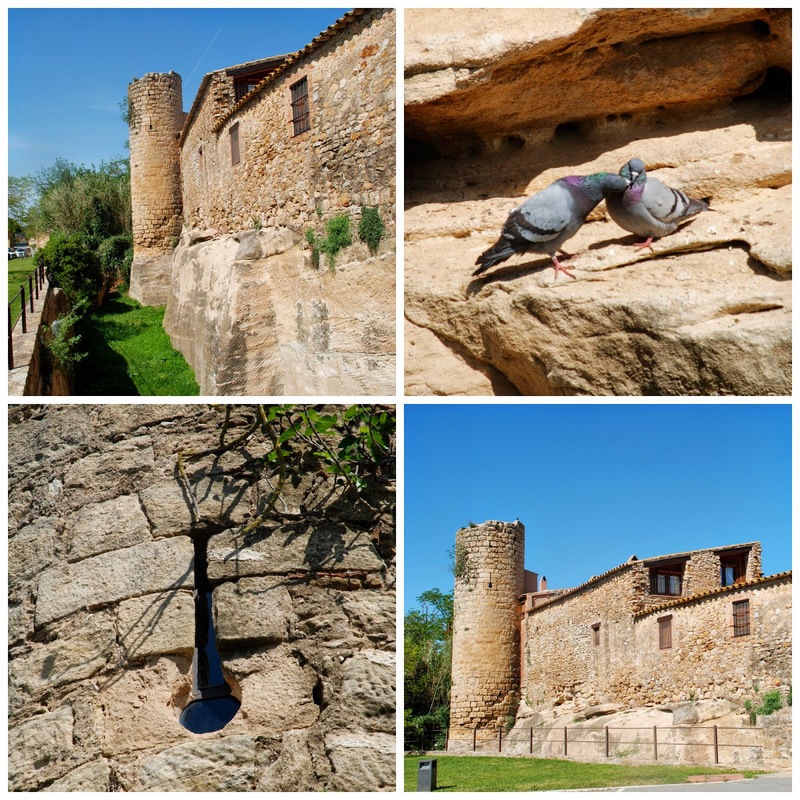 Peratallada has known good times and bad times, and, like many of the other settlements in the area, is heavily fortified with a deep moat and strong defensive walls. You know the old Chinese curse: may you live in interesting times? Well, the good folk of Peratallada have lived through some very interesting times, as is reflected in the town's architecture. A few days' ago Emi, Maxi and I took a wander round. Would you like to see what grabbed our attention? Come on, let's give you a tour. 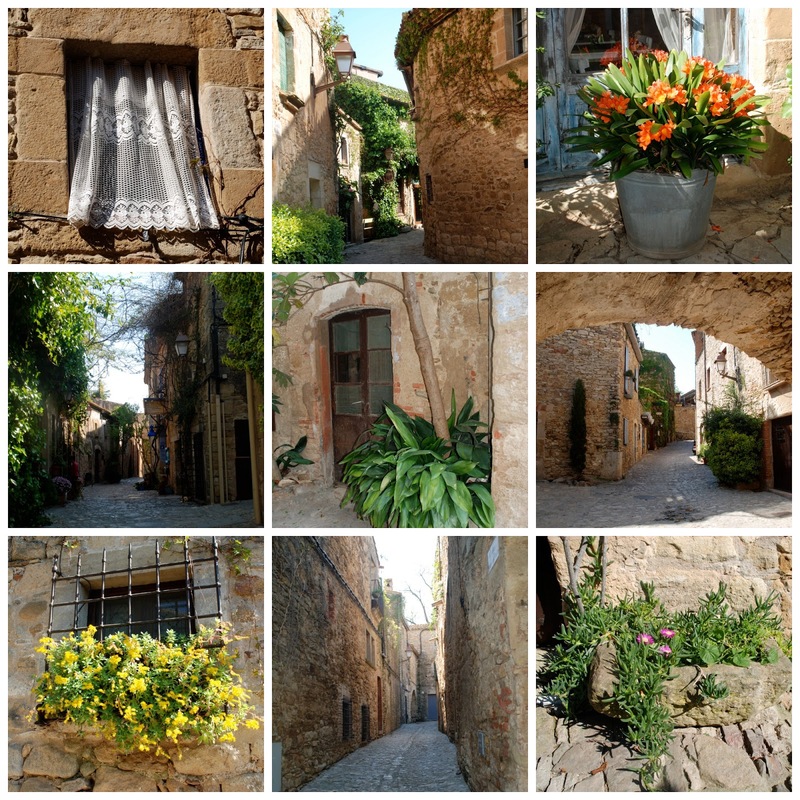 Peratallada simply oozes history; it feels like the mortar that holds the whole place together. People have lived here since forever. No, it's true: the place started out as a stone quarry way back in the Bronze Age. 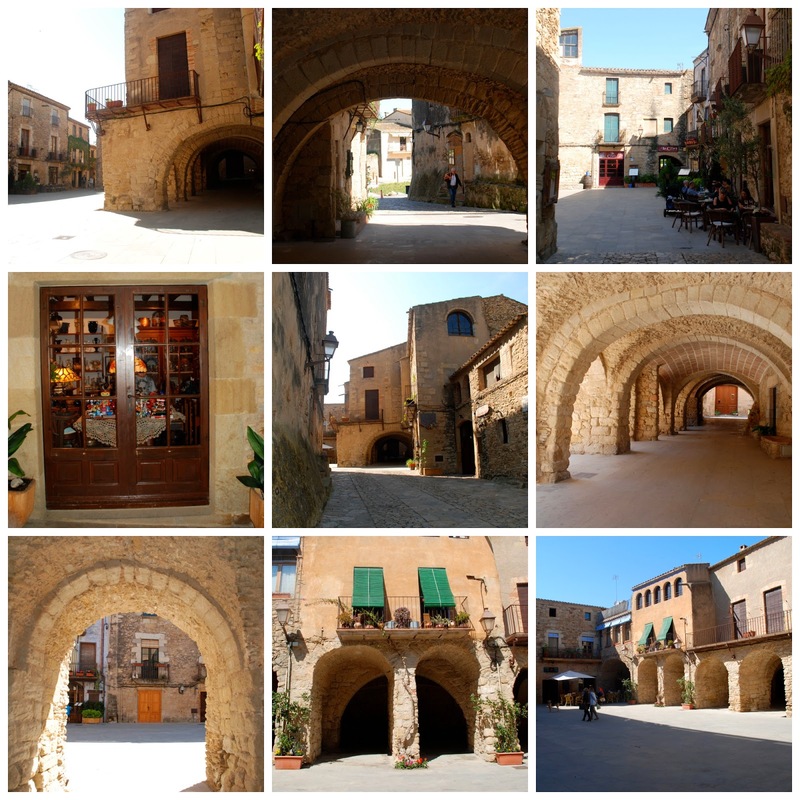 The bedrock of the town is solid sandstone, from which it takes its name Petra Tallada - carved stone - in old Catalan. Most of the houses have been built with stone that was dug out of the defensive moat that encircles them. 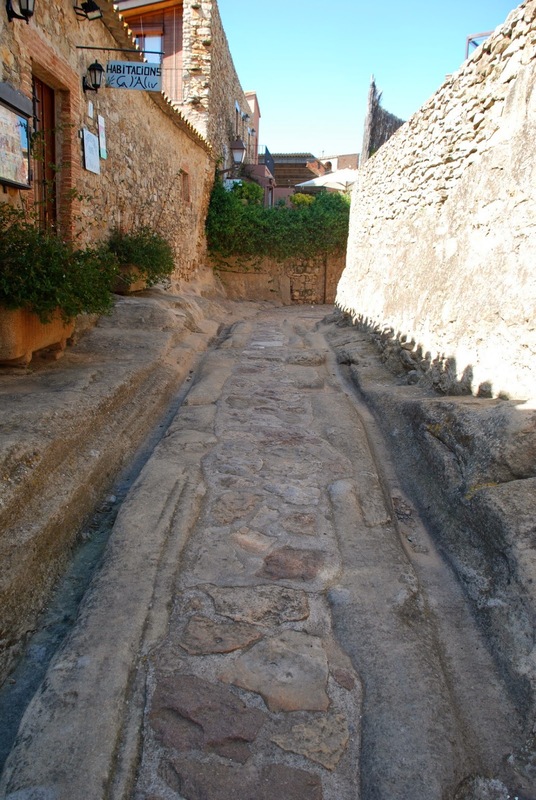 Back in the 1960's when they fixed up the former palace of the Barons of Cruïlles and Peratallada in the centre of the town they found capades de moro, little recesses carved into the stone of its foundations, in which the early inhabitants had placed the funerary urns of their dead. Archeologists dated these to the 4th to 5th centuries BC. So, you see, folk have been calling this place "mi pueblo" for at least two and a half millennia. The moat and a considerable part of the outer defensive walls have survived. Here is the Virgin Mary's Gate, which leads into town from the main road. It's called the Virgin Mary's gate because it once held a statue of the Virgin, in a little niche that faced folk on their way out. From here She conferred Her blessing on everyone as they left the safety of the city walls. Originally there was a portcullis to close the gate securely, and a drawbridge that was hauled up to keep the bad guys at bay when the occasion demanded. And if you look down as you're going out this way you'll get a really good view of the moat. It's quite a piece of work, especially when you consider the toil involved in hewing it out of the sold rock by hand. Can you see how the city walls are sitting on metres of solid sandstone? If you look carefully you can see the chisel marks made by generations of townsmen as they've carved their way down through the bedrock, digging out stones that they would later haul away to build their homes with. The Virgin's gate leads straight out to the Church of Saint Stephen, which stands just beyond the protection of the current city walls. The church dates from the twelfth century with later additions made over the years as fortunes improved. Sadly it's closed unless they're celebrating Mass inside, and, as I've never managed to make it to for the service, I've not seen the interior. There is, however, an ossuary inside that I'm curious to have a look at. It holds the remains of Baron Gilabert de Cruïlles, who died in 1348. He was actually Gilabert V de Cruïlles, because like many noble families of the day, the Cruïlles clan showed a marked lack of originality when it came to naming their firstborn sons! 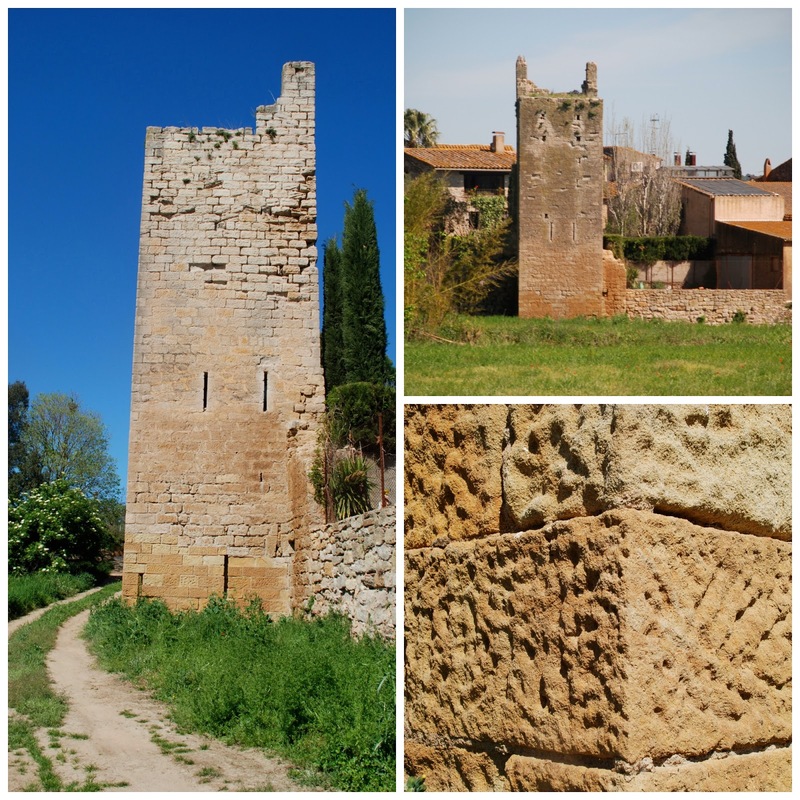 Now, in my opinion, the glory days of Peratallada kicked off in 1250 with the marriage of Gilabert V's grandparents, Gilabert IV de Cruïlles and Guillema de Peratallada. Guillema had inherited her barony (of Peratallada and Begur) when her brother, Pontius de Peratallada, had died childless. Gilabert IV and Guillema were a bit of a power couple. Both of their families had been important feudal bigwigs who, between them, had pretty much ruled the roost over the rich plains of Baix Empordà, so when they got together they created a dynasty that transcended local, feudal politics and took its place, not just on the national, but on the international stage. 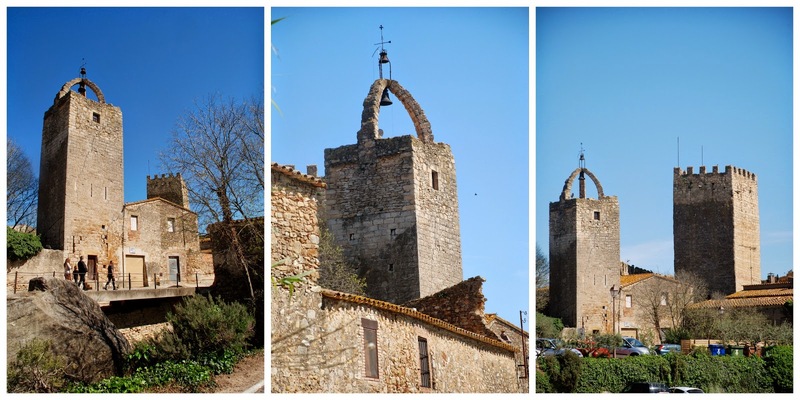 Before he got hitched Gilabert's home had been the village of Cruïlles, just down the road, but it wasn't anything like as well-protected as Peratallada so, after they'd tied the knot, he moved his base here, and Peratallada became his principal stronghold. By this time Catalan fortunes were also on the rise. Catalonia, a self-governing principality under the Crown of Aragon, was the main naval base for the King of Aragon, and it was largely on the back of Catalan seamanship that James I of Aragon was able to conquer Valencia from the Moors in 1238 founding the Kingdom of Valencia, as a third autonomous state (along with Aragon and Catalonia) under the Crown of Aragon. Gilabert IV was one of the Catalan knights who distinguished himself in the reconquista. Then, having impressed the King with his knightly prowess, he was sent as the King's ambassador first to the Holy See in Rome in 1266, then in 1273 to the Kingdom of Navarre, then to Foix in 1278 and to France in 1279. Gilabert IV remained loyal to James' successor, Pere el Gran, King Peter III of Aragon, the Troubadour King, during the Rebellion of the Catalan Nobles. He achieved a position of confidence with Pere el Gran, going with him to Bordeaux in 1283 to settle the question of the sovereignty of Sicily with Charles of Anjou after the War of the Sicilian Vespers. Pere el Gran, who'd been tipped off that some derring do was in the offing, went in disguise, thereby thwarting an Angevin attempt to abduct him and decisively solve the question of Sicilian sovereignty in their favour. The original plan had been to hold a tournament to decide whether the future of Sicily would be Angevin or Aragonese. Trial by battle, way back then, was regarded as due process for the purpose of resolving disputes. There were to be 6 champions to represent each side, and the tournament was to have been adjudicated over by Edward I of England, who was very keen to sort out any niggles between the Christian princes so that they could all team up and head off on another crusade together. The Pope, however, was not happy that the issue should be determined by any due process that did not allow him to control the outcome, and so, at his bidding, Edward did not show up and the tournament never took place, leaving Pere el Gran and Gilabert IV to come home feeling like they'd been on a bit of a wild goose chase. Being chums with Pere el Gran, and travelling around in his retinue listening to him do his Troubadour thing was, without a doubt, very exciting, but the relationship also carried its downsides. Gilabert IV was a major creditor of both James I and Pere el Gran. Now being owed money by kings could be a dangerous business way back then, as the Knights Templar found out to their cost a few years' later. Poor old Gilabert IV had a bit of a dilemma. He had to maintain his estates, his grandeur and his feudal obligations as a knight, but he couldn't exactly lean on the King to pay up. 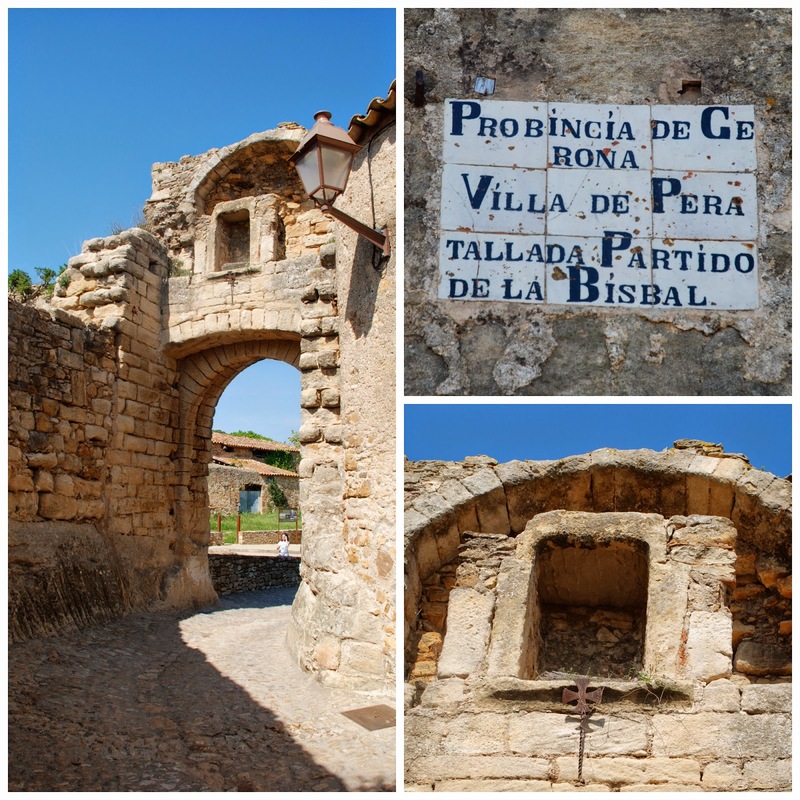 As a result his finances hit rock-bottom in 1287 and he was forced to sell his dominions of Vulpellac, Sant Climent de Peralta and Sant Feliu de Boada. Happily family finances improved under his son Bernat, who had impressed Pere el Gran, fighting by the King's side in the Conquest of Sicily, and who'd also gone to Bordeaux for the trial by tournament that never happened. He went on to flourish as a Catalan Admiral in the service of the Crown of Aragon fighting in North Africa when Tunisia rebelled against the Aragonese. He was later appointed Governor of Valencia. Bernat's son, Gilabert V, was also appointed governor of Valencia and Xàtiva in 1329. Gilabert V had distinguished himself in knightly service to the King, and by now the family had sufficient prestige for him to marry Constança d'Aragó, daughter of the King of Mallorca. He died on 11th July 1348 and, going back to where I started, his are the bones that are interred in the ossuary that I'd like to get a look at inside the church. 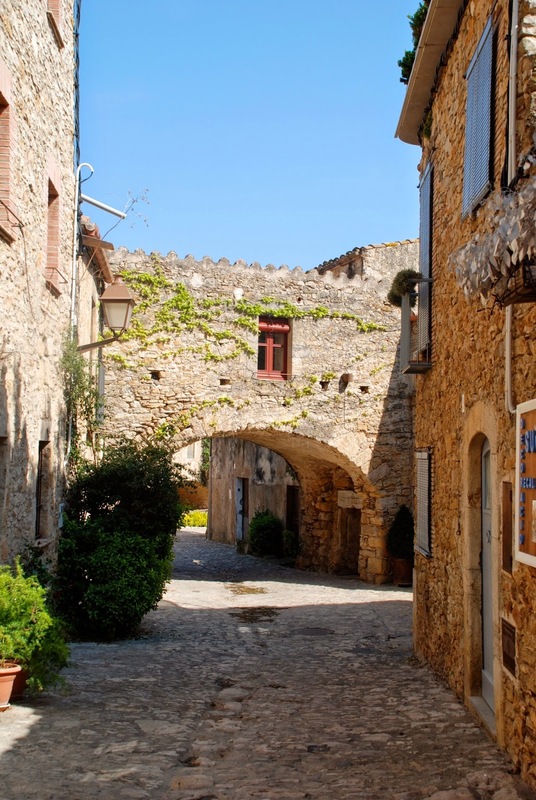 It sits in the very centre of the town, protected by another, inner ring of fortifications. They must have felt pretty safe here. 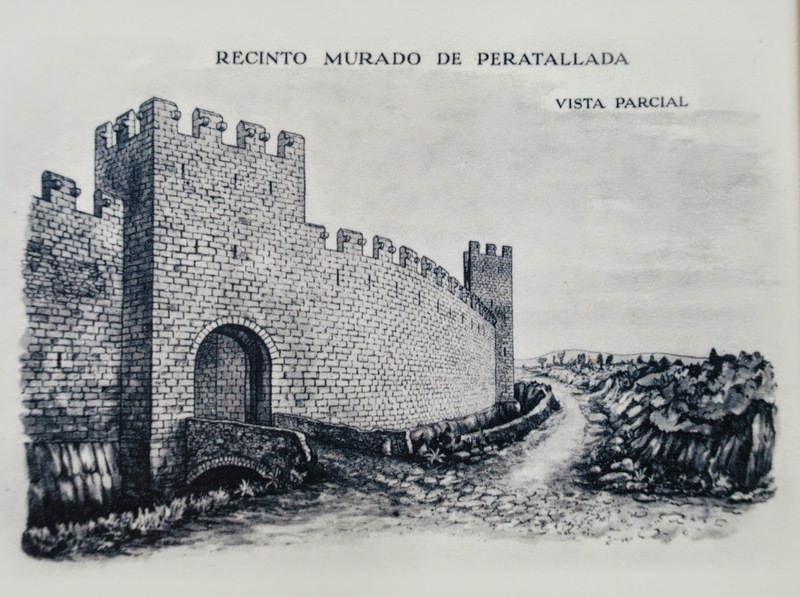 Peretallada was regarded as one of the most strongly fortified towns in Catalonia. Moreover in 1395, when an inventory of the contents of the palace was taken for the widow of Gilabert V's son, Gilabert VI, it recorded a dwelling of great opulence furnished with fine tapestries, and velvet curtains, bedecked with plates of gold and silver. The inner ring of fortification that encircled the palace and the keep is still in evidence. 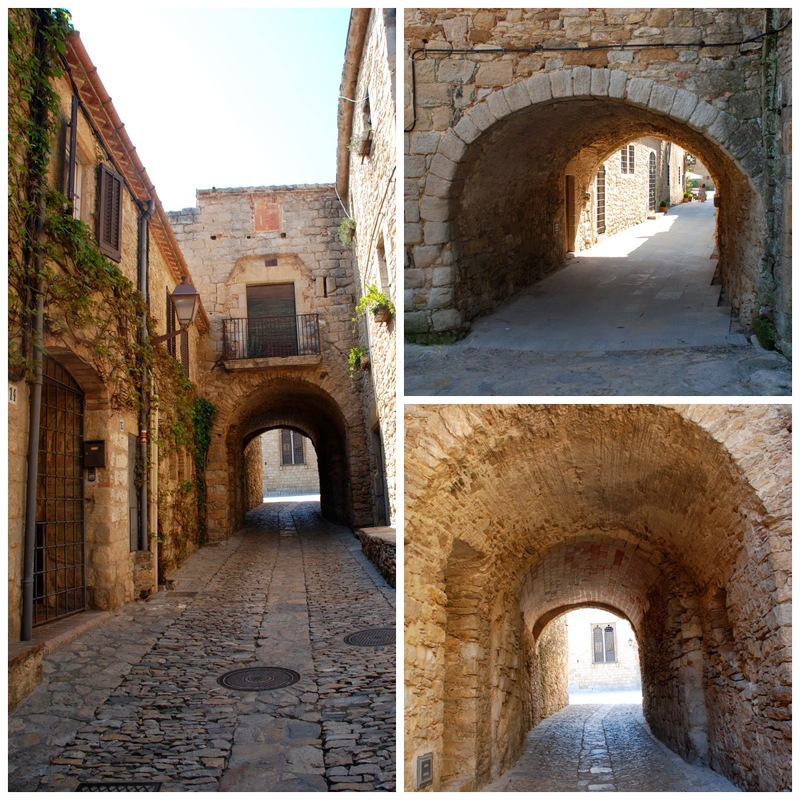 There are a number of the fortified gate houses built across the streets that led to the central Plaça del Castell. Their function would have been to halt the advance of any besiegers who penetrated the outer wall, giving the folk in the castle time to get to the keep and wait there, within another ring of fortification, for either assistance from their allies, or for their enemies to give up and go home. And here's the keep, with its own outer protective wall. Built in the 11th to 12th centuries it stands 10 metres/ 30 foot high, and can be found in the very centre of the Castle enclosure. Sadly neither the keep nor the palace are open to the public. Not all of the bridges in town were defensive. Space was at a premium, being limited by the outer defensive wall, so when people wanted to extend their homes they had to do so around the existing public thoroughfares. This led to houses with extensions built on the other side of existing streets and specially built bridges that picturesquely linked the one to the other. Other extensions were simply built above the street on specially created bridges. Carrying on to the western wall of the city, some of the old watch towers are still intact. Just look at all those chisel marks on the beautifully made bricks from which it was constructed. 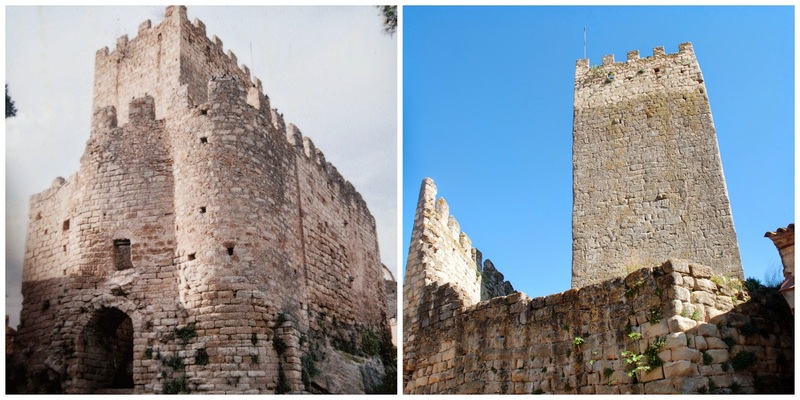 As you can see there were a number of square and round towers incorporated into the old city walls. You can still see the arrow slits from which they fired down at the besiegers. If you take even a cursory look around there's lots of evidence of the hard manual labour that's gone into building this town. For example if you look down into the moat beside the round tower you'll see lots of the chisel and pick marks left by the people who suffered and sweated, digging out the stone. It's a sobering thought, but, for many of them, these marks are the only physical evidence that they ever lived at all. I wonder how many folk lost their eyesight as a result of rock chips flying off when the the hammer hit the chisel, how many were injured climbing in and out with their hard-won stones, and how many of them were cornered in that moat when the bad guys came calling unexpectedly. If only chisel marks could talk, what a story they might tell... . But now let's take a look at the bell tower. 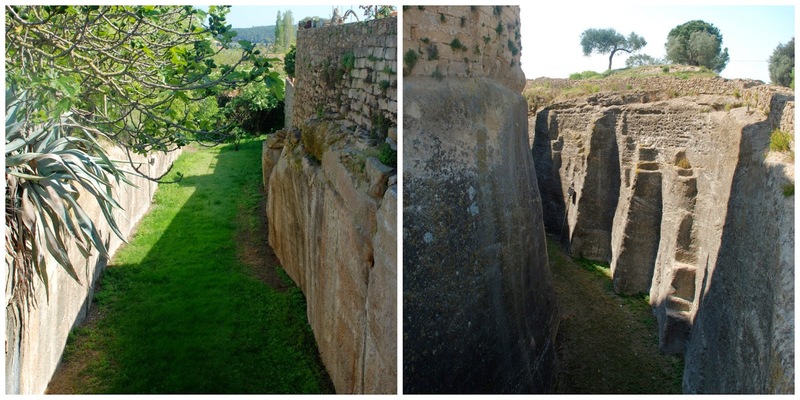 It had a defensive function as part of the old outer wall. Its arrow slits and small windows were designed to allow the defenders to watch out and fire down on attackers, whilst exposing as little of themselves as possible. Over the years the bell has sounded the alarm when hostile forces have been spotted, summoning those working in the fields beyond the city wall to return, and on other, less fraught, occasions it has simply rung out the passing of the canonical hours. One of the most impressive parts of town is the medieval Plaça de les Voltes, which is a wonderful rectangular square with vaulted arches running along one side. Originally more of the square was vaulted, but today only one vaulted side survives. 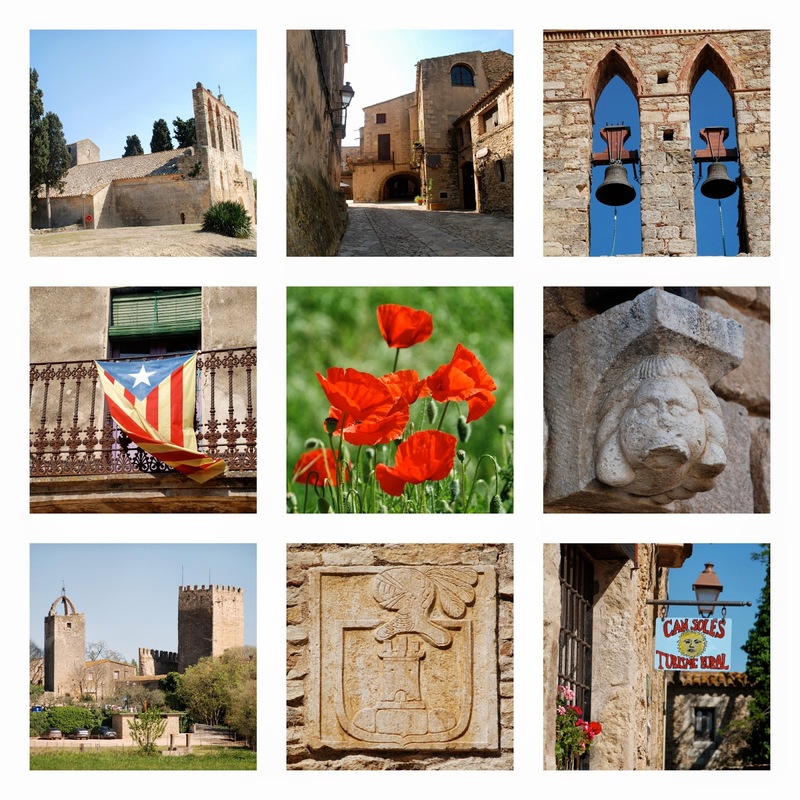 And there you have them, our highlights of Peratallada, the beautiful stronghold of a powerful dynasty of feudal barons. I hope you've enjoyed our mooch around together. Lots of awesome photos and historical information. This would be a place to while away some pleasant hours for sure.